Tagged with: 4th U.S. Circuit Court of Appeals Civil Rights Judge James A. Wynn Jr. Tagged with: 4th U.S. 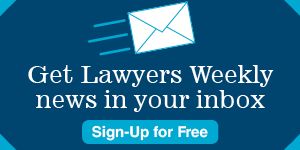 Circuit Court of Appeals Civil Rights Judge John A. Gibney Jr.
A rural airport in Southwest Virginia is facing a trial on its former manager’s claim that the airport commission violated his privacy rights when it accessed an email account he used for work.